2 hour Early Dismissal Today at 12:30 pm due to potential icy weather. ALL after school activities/practices including Driver’s Ed have been canceled. Environmental Club will be meeting Friday, Jan 12, during lunch, 12:30, in room 12-005. Juniors and Seniors: Would you like visit Kirkwood Community College in Cedar Rapids? We are taking students on Tuesday, January 23rd. We will be leaving school at 8:30 AM and returning around 2:30 PM. Lunch will be provided. You must be passing all classes. Please email margaret.milani@mcsdonline.org by 1/18/18 if you would like to attend (first come, first served basis). AP Information Night – Jan. 16, 7:30-8:30 pm beginning in the Auditorium. This meeting is for all MHS parents and students who would like to know more about the different AP courses that are offered at the high school. Additionally, AP teachers will attend the event so this will give parents and students the chance to talk one-on-one with AP teachers about curriculum, class expectations, the AP test, and other course information. Even if your son or daughter has already taken an AP course, this is a good opportunity for you to plan which course(s) your child will take during following years. Parents have found this to be a very beneficial event to attend – we hope to see many of your next Tuesday night! Wells Fargo Advisors Shootout: MHS Varsity Basketball will be playing at the Wells Fargo Advisors Shootout at the US Cellular Center in Cedar Rapids on January 13th: Tickets are $10, 6 and under free. Tickets are good for the entire event. 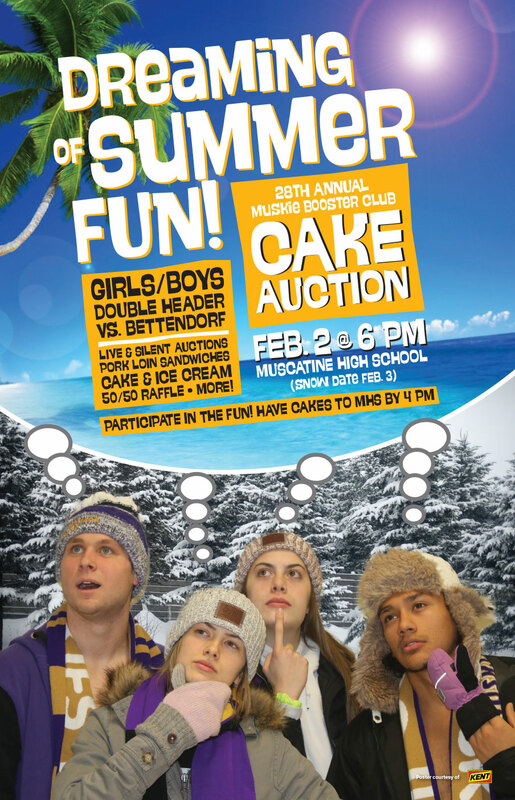 Tickets on sale until Friday, Jan. 12 in the AD Office-rm 11-005 or contact Mike Morgan at mike.morgan@mcsdonline.org. Please make checks payable to US Cellular Center. Attached is the schedule for the event. It is HIGHLY suggested to purchase tickets through MHS. The main reason being is the process to get a ticket at the US Cellular Center isn’t easy (especially if it is cold). The spectators would have to park (in the ramp) and then walk outside to the front entrance to the box office, and then walk back up to enter. It will save you time/effort to purchase from MHS. Poetry Club: Join us for the first ever meeting of the new Poetry Club at MHS, the Free Expression Society, Thursday, January 11 after school in Mrs. Walker’s room 21-024. Feel free to bring a poem you love or one you’ve written to share! Juniors & Seniors: Study Hall exemption forms need to be turned in to the Assistant Principal’s office – Rm 12-001. If you have Study Hall on your schedule at the start of this week, you will be expected to attend that Study Hall. Model UN: Position papers are due on Monday, January 8th by 11:59 pm. Driver’s Ed: Students that have signed up for Driver’s Ed, classes will begin on January 8th in Room 11-022 from 5:30-8:30 pm. Please bring a pencil/pen to class. Winter Thaw Dance: January 20th from 9-11 pm in the Cafeteria. $5 at the door. Model UN: Paper Night for Chicago is this Sunday, January 7th from 3:00-5:00 pm in Ms. Hansen’s room (11-024). Position papers are due on Monday, January 8th. MHS Varsity Basketball will be playing at the Wells Fargo Advisors Shootout at the US Cellular Center in Cedar Rapids on January 13th: Tickets are $10, 6 and under free. Tickets are good for the entire event. Tickets on sale through Friday, Jan. 5 in the AD Office-rm 11-005 or contact Mike Morgan at mike.morgan@mcsdonline.org.